Home fans at Coronda watching the first event of the International Swimming Federation (FINA) UltraMarathon Swim Series had everything to cheer for as Argentinians won both the men’s and women’s events. 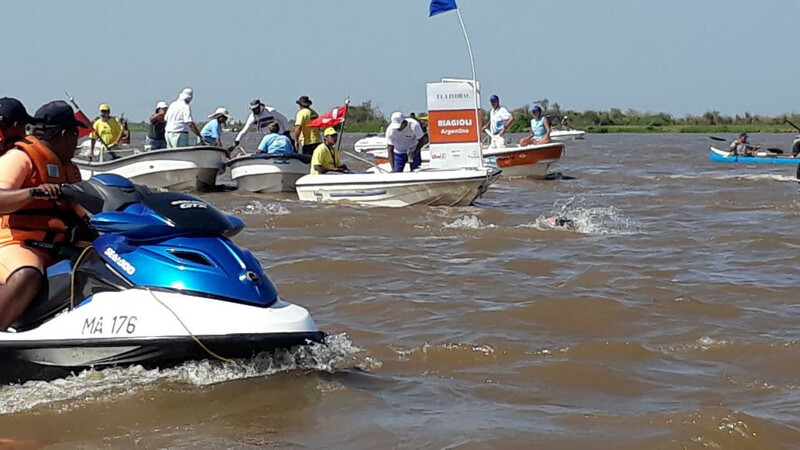 But it was women’s winner Cecilia Biagioli who produced the performance of the day during this 57km - 35.4 miles - endurance race in the El Rio river as she finished second overall behind the men’s champion Guillermo Bertola. Biagioli led for much of the race before Bertola drew ahead shortly before the five-hour mark, but she held her position to secure an outstanding result in an overall field of 26 swimmers that included many more experienced international racers. Italy’s Edoardo Stochino and Simone Ercoli took second and third place respectively in the men’s standings. Second and third place in the women’s race went to Bárbara Pozzobon of Italy and France’s Alice Franco, high level performers on the circuit in recent years. 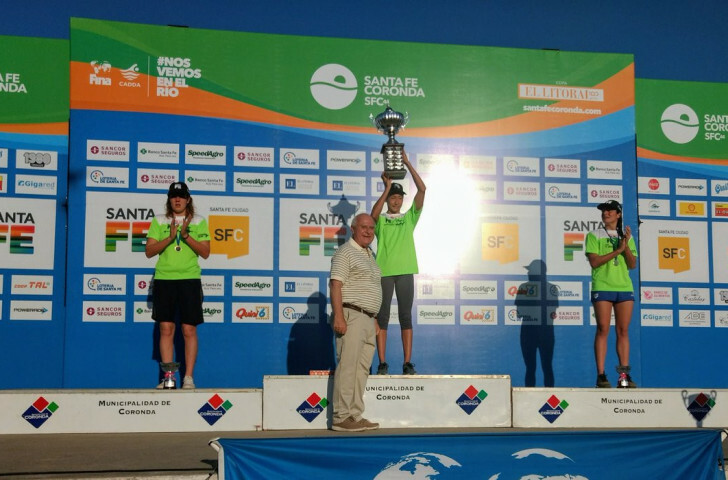 This race in the province of Santa Fe marked the first competition of the rebranded series formerly known as the FINA Open Water Grand Prix. After Coronda Santa Fe, the UltraMarathon is due to next stop in Lac St Jean in Canada on July 28.